Crystal Lake RV Park is in the heart of all the fun and activities of Florida! Whether you’re coming for the amazing Theme Parks, outdoor activities, or just spending the time relaxing with friends, we have it all! Need a place to stay while attending a Daytona Race or Bike Week? We’ve got you covered. We’re close enough to experience all the fun and far enough away to escape the hustle and hassle. See some of the specific activities and events that we have found for you. 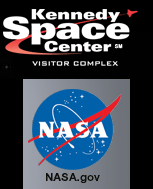 Kennedy Space Center – is NASA’s launch headquarters and the only place on Earth where you can tour launch areas, meet an astronaut, see giant rockets, train in spaceflight simulators, and even view a launch. Daytona International Speedway – There is so much more to this racetrack than just racing! With choices ranging from 30 minutes to three hours, a tour at Daytona International Speedway is an experience to remember for any race fan. There are two major races held at this track each year: Daytona 500 and Coke 400! Be sure to check out this premier sport facility on your visit to our park! 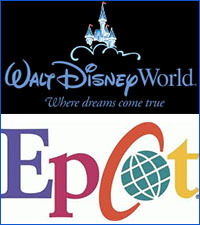 Epcot Center at Disney World is just one of the theme parks located within Disney! Bring the family and plan to spend the day enjoying the fun and activities that only Disney can provide. Once the day is over come on back to Crystal Lake RV Park for some quiet and relaxing time, you’ve earned it! Universal Studios – Orlando Go behind the scenes, beyond the screen, and jump right into the action of your favorite movies at Universal Studios®, the world’s premier movie and TV based theme park. Sea World – Orlando. SeaWorld Parks & Entertainment™ is where imagination and nature combine for an exciting vacation experience. Our theme parks are intended to celebrate, connect with and care for the animals we share our world with. 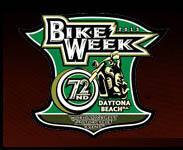 Bike Week Bike Week has been a tradition in Daytona, Florida since January 24, 1937 – the inaugural running of the Daytona 200. 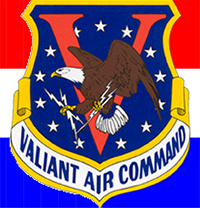 Valiant Air Command Warbird Museum & TICO AirShow Main Bay/Display Area contains approximately 30,000 square feet and is wide and high enough to accommodate the wing span and tail assembly of all but the largest bombers. In addition to the main hangar bay, there is an area 15,000 square feet dedicated to the display of memorabilia associated with the “Valiant” individuals who flew, maintained these aircraft.